Conclusion: Bämm, you can see here every single distillery, which combine into a great blended malt: the beeswax notes of Clynelish, the salt notes of Oban, the smoke flavors of Caol Ila and the heavy peat notes of Lagavulin, and in the finish the Talisker beats with his peppery finish by. The two lead malts are m. E. Clynelish and Talisker. Very nicely done!!! Mineral and waxy characters are there, very fruity. Blind tasting. Very nice. But not for the price. Pretty fresh. Menthol. Pear. Apple cider. Citrus fruits. White grapes. A little vanilla. Freshly cut wood. In addition smoke. But not too strong. Such a mixture between wood smoke and peat smoke. In the mouth now a lot sweeter. Grape sugar. Wine gums. Sugar beets. Then it gets sharper and it seems to be the alcohol (against which I'm immune today). Which of course already has a clear start. Glazed ginger. Lime. Worn by the smoke. Lemon shower sticks. Now comes some licorice and things get drier. Accompanied by the smoke. N: First of all, there is a strong smoke, a very medical smoke like some young Caol Ila exude. From the smoke peel menthol and beautiful sherry notes with red fruits, some tobacco. The Sherrynoten are reminiscent of a blend of the Distillers Editions of Talisker and Lagavulin. Add to that the scent of a sea breeze. After some breathing, delicate aromas of furniture polish and old leather sofa come. Are there older barrels? M: A nice peppery onset, which comes out even stronger with a few drops of water. A beautiful multi-layered malt. Salty notes, red fruits, it always flashes oak spiciness, all interspersed with fine smoke. Q: long and smoky, light berry sweetness but after a while there is a bit of coin money left in the mouth. Cladach is this year’s ‘secret bottle’, like Collectivum XXVIII was last year’s. In other words, this was revealed late in the game. 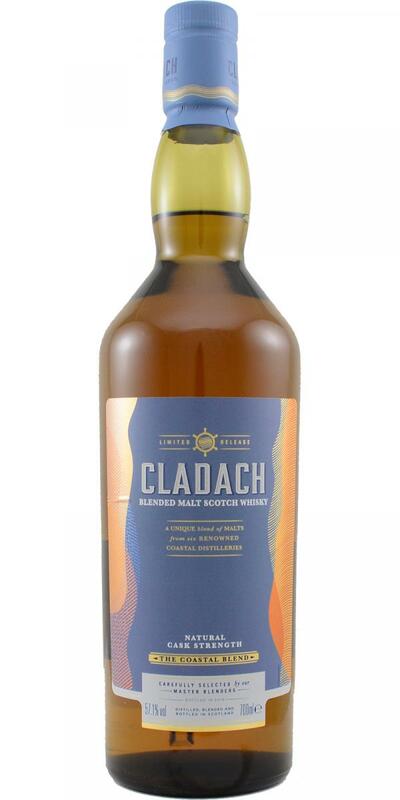 Cladach means as much as ‘coastline’ and is a blended malt, composed of six coastal single malts: Coal Ila, Clynelish, Lagavulin, Oban, Inchgower and Talisker. This has got to be good, right? Hello! Immediate maritime elements on the nose (doh!) with salt, soot, seaweeds, oysters and a mild development of smoke. Blind, I might have mistaken this for a Lagavulin at first, which leads me to believe this is the dominant malt. But the typical pepperiness from Talisker is present as well, while the Clynelish takes care of a lovely waxy note. Some clear honey, limes and lemons, a leaf of mint and something that reminds me of butane gas, I kid you not. Some pastry, but all the way in the background. Know what? This is absolutely stunning. Great body and immediately quite dark and sooty on the palate. Great continuation of the nose with sweet and salty notes. Quite some smoke and soot, but soft and creamy at the same time, with smoldering wood, charcoal and liquorice, salt & pepper… You can almost chew this one! Medium long finish, but very balanced with an uppercut of vanilla at the death. This blended malt truly is more than just the sum of its parts. Value for money. It is yours for 160 EUR. I did not doubt and got me two bottles. Bring on a cold winter!